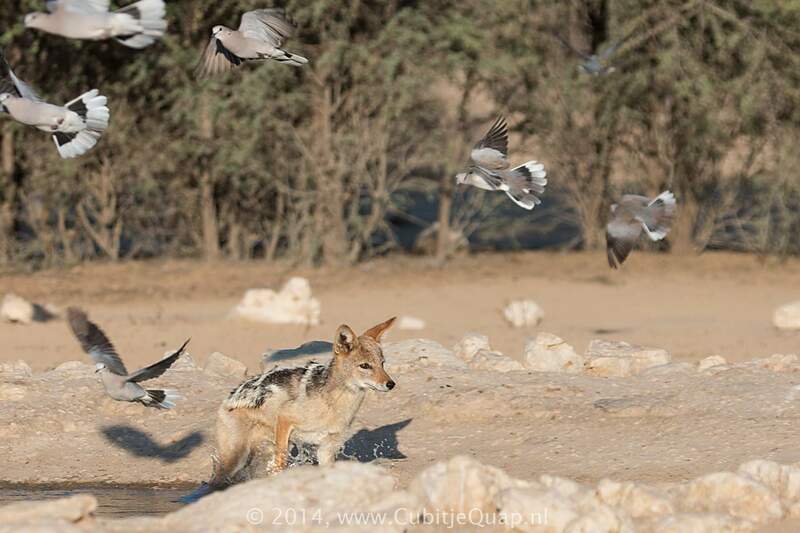 Some of the black-backed jackals in the Kgalagadi Transfrontier park have developed a technique for hunting birds. in bushes and trees around the waterhole. 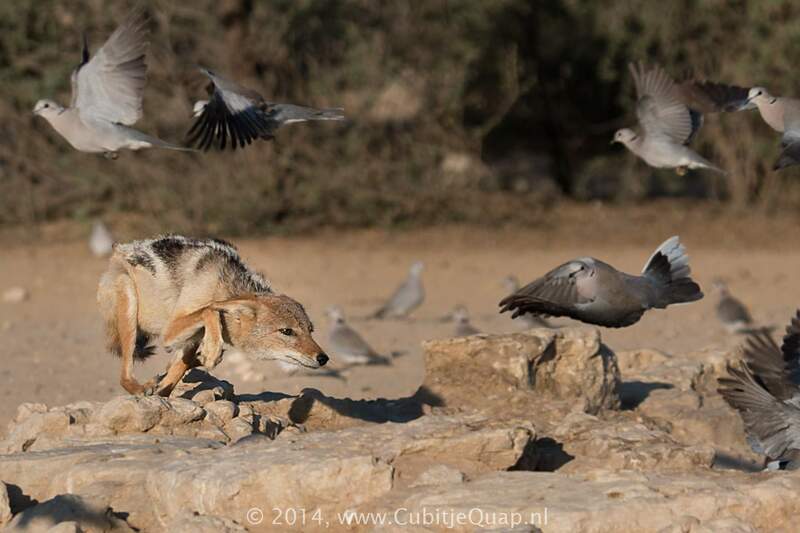 They will fly down for a drink in large numbers at one time and they are very skittish for birds of prey and other predators. 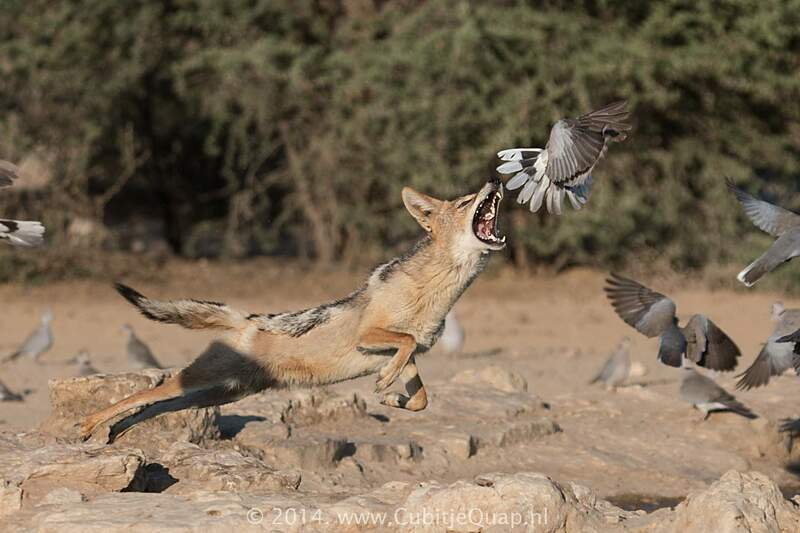 Some of the black-backed jackals in the Kgalagadi Transfrontier park have developed a technique for hunting these doves. 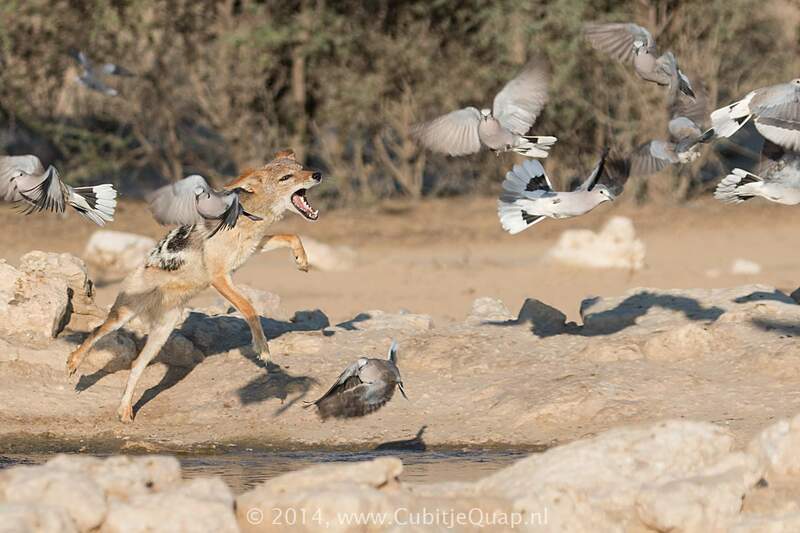 flock of birds panics and the jackal tried to grab one of the fleeing birds.